This book had me hello. The title, the lead image, every thing. 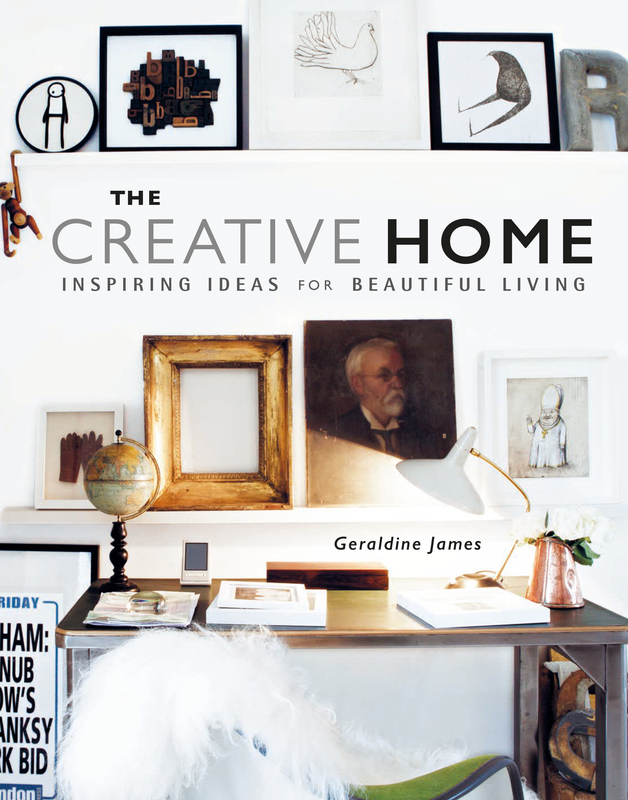 The Creative Home by Geraldine James is for those of us who love a home with personality. Full of quirky finds, exotic charm and simple living. Turning the pages I was hooked, pouring over every vignette, shelf and room. Bathroom of dreams! Look at it. 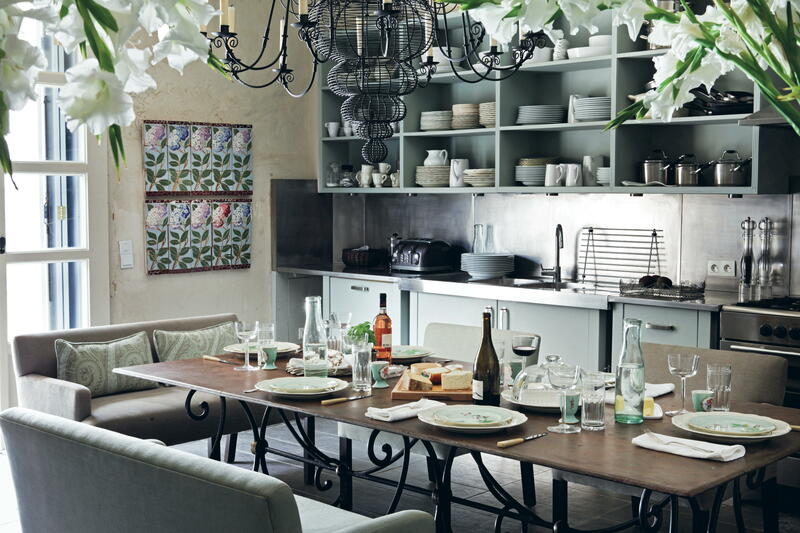 The Creative Home is laid out in five chapters, cook & eat, relax & socialise, work & create, sleep & bathe, store & display. Each section has a variety of decor influences, trying not seem too flea market or shabby chic camps, but more giving an overview of styles which you could take ideas from and implement them in your own home. 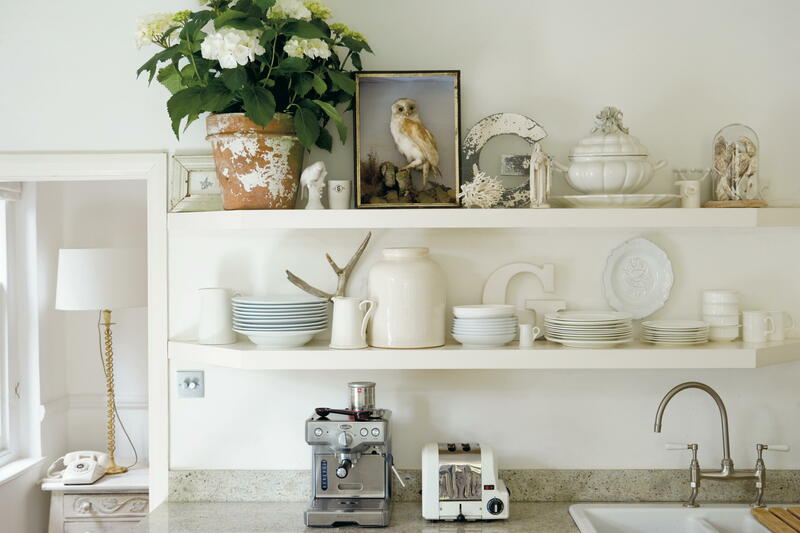 I’m obsessed with shelves, and the styling of them. In my own home I constantly move things around and change it up, never satisfied with them. New items appear, whilst things I’ve grown to hate move on to a new abode. Essentially I am striving for a harmonious, creative space, full of character, but seemingly uncluttered. Yeah, it’s a knack I haven’t yet mastered. But with this beautiful book I feel there is a lot of inspiration to be taken from it’s pages. 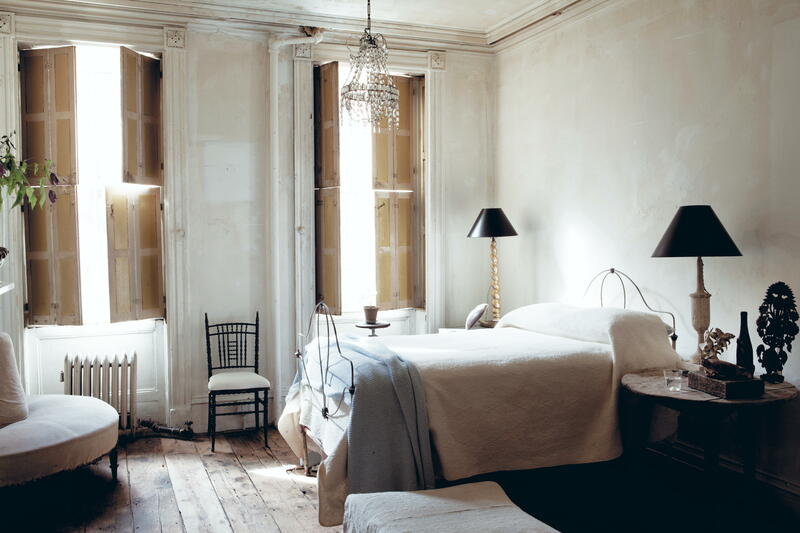 Like this bedroom for example. 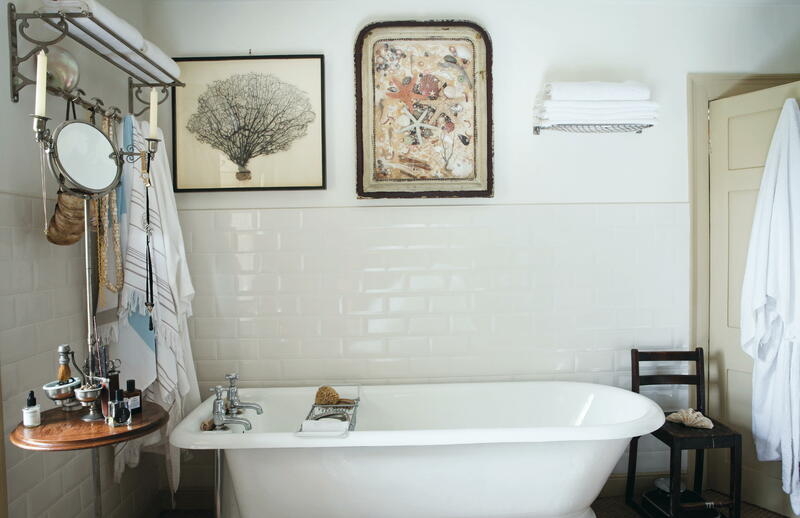 It is calm and pared back, but has lots of character with the items in the room. 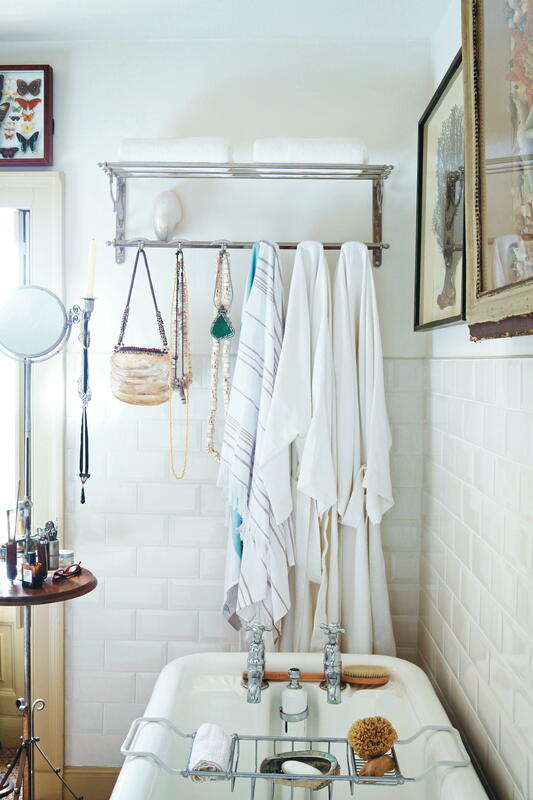 Looking extremely French, and full of flea market charm. The same goes for this room. 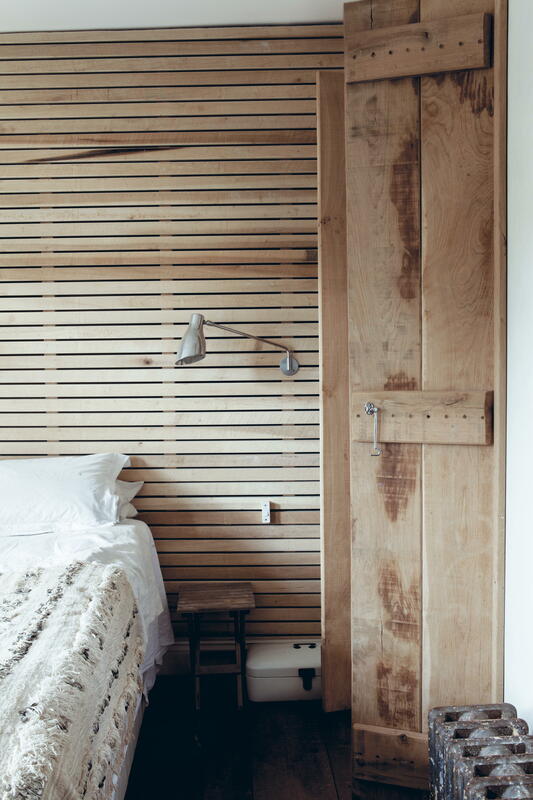 It’s the use of timber that makes this space so wonderful. 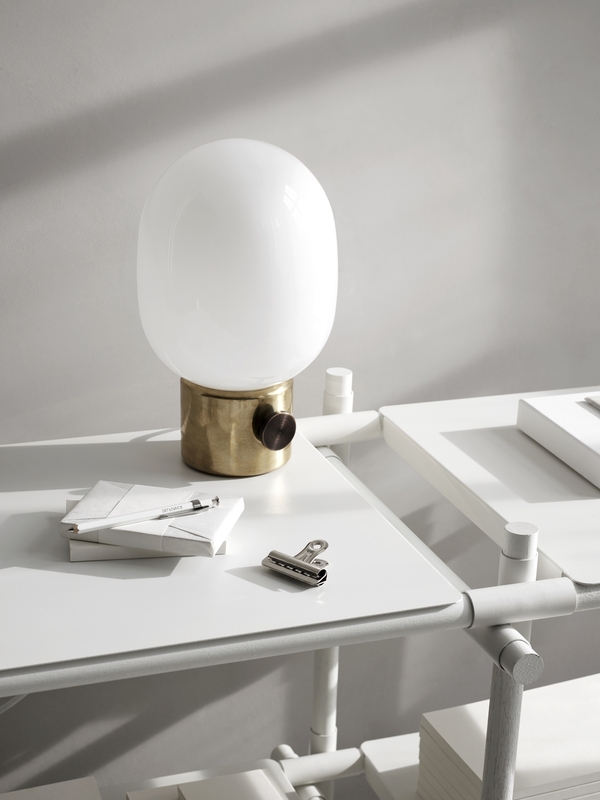 Reclaimed radiators, and modern lamp gives the room a gathered, eclectic vibe. 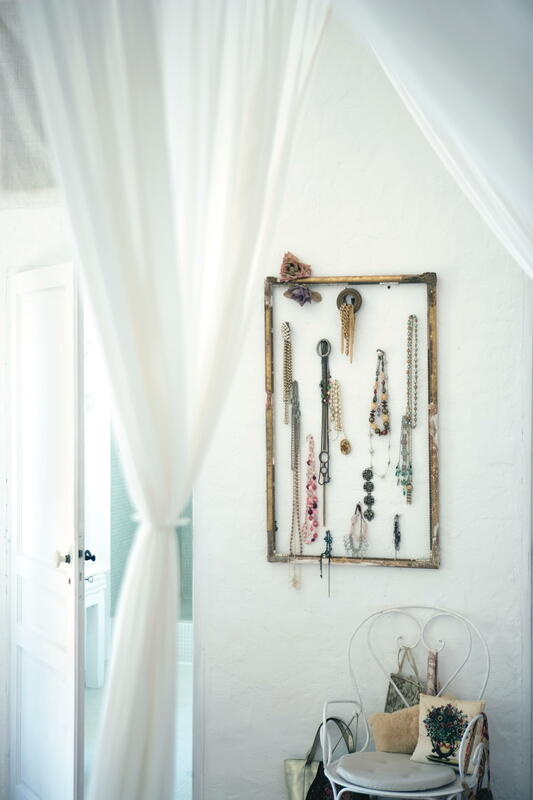 Display the things you love creatively. The last chapter in the book is my favourite, ‘Store & Display’ – sharing clever ideas on how to display your favourite items. 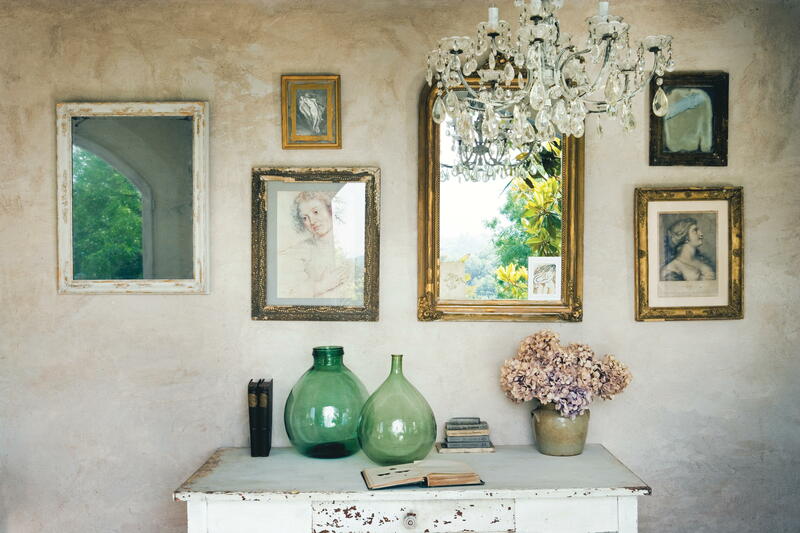 I adore how the jewellery is shown as a work of art inside the gilt frame above, and below that, those glass demi-john bottles, against the rough plastered wall – just perfect! What I have taken away from this book is; never be afraid of individuality. The high street is always trying to push on us this their idea of this seasons ‘trend’. My advice is to ignore it, and live in a home that expresses you. Show off what you love, and get creative. The Creative Home by Geraldine James, published by CICO Books. Photography © CICO Books 2016 For more information please visit the website. 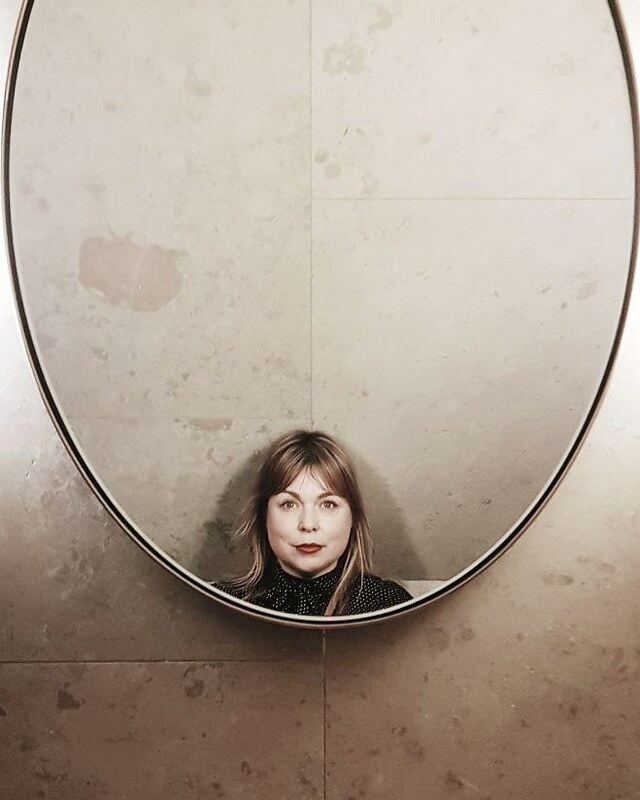 This post concludes the #creativehome book tour. Why not check out the other blog posts in the series.